The latest European Union plan to ban palm oil has been defeated, but the anti-palm oil forces in Europe have only just begun. The different lawmaking arms of the EU — the European Commission, Parliament and the Council — recently reached a compromise on the bloc’s revised renewable energy regulations, known as the Renewable Energy Directive (RED). Like all EU compromises, it is messy, but with one element of certainty: the proposed ban on palm biofuels has been rejected. RED is of significance to Indonesia. The regulation effectively subsidizes renewable fuels for transport, including Indonesian palm oil, and has increased demand for Indonesian exports in recent years. This led to palm oil taking market share from less competitive EU oilseeds, such as rapeseed. The most recent evidence of this is claims of dumping made by European biofuel producers against Indonesia, which was rejected at the World Trade Organization. There is furious lobbying around the RED revisions. 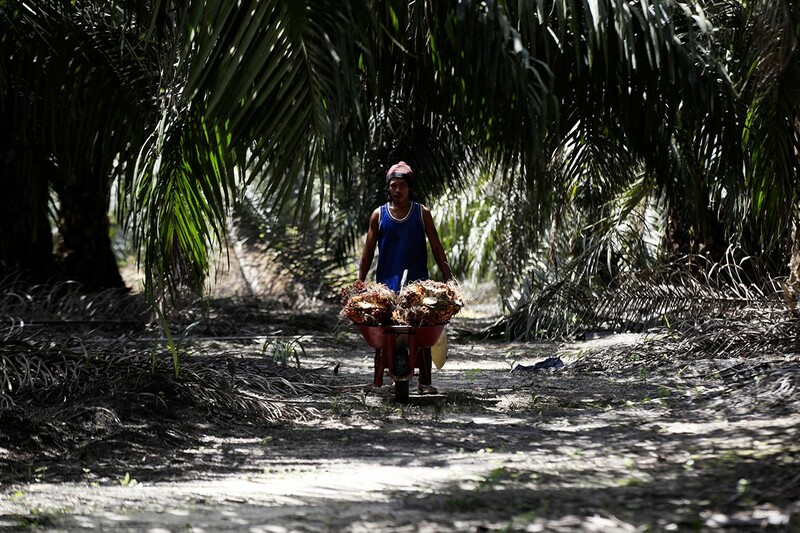 European farmer and Green groups wanted palm oil to be banned. This was supported by members of the EU Parliament and several EU governments. The European Commission knew a ban was unworkable from a trade policy perspective: it opposed the plan. Some EU member states’ governments, pursuing ongoing trade relations with Indonesia and Malaysia, also opposed the ban. The final compromise juggles the interests of European farmers, the EU’s trade interests, and a general desire to phase out food/feed-based biofuels. Green parliamentarians hailed it as a victory, stating palm oil was being “phased out” by 2030. This has been widely reported in the media: it is not accurate. The RED text contains no specific phase-out of palm oil. Palm oil is not even mentioned. The proposed ban on all palm oil biofuels from 2021 has disappeared. Forbes reported that the EU Parliament “surrendered” in the negotiations and backed away from banning palm oil. Instead, the text says that in 2019 the commission will finalize a methodology to determine which biofuels — and their production processes — can be considered “high risk” in terms of greenhouse gas savings. This will incorporate both indirect land-use change (ILUC) and high carbon stock (HCS). On paper, all crops — European crops included — will be subject to the same measures. Any “high-risk” biofuels — imported or European — will have their use frozen at 2019 levels, and the commission will then recommend a phase-out strategy for high-risk biofuels, commencing in 2024 and ending in 2030. But “high risk” is yet to be determined. The ‘high carbon stock’ criteria may be carried over from the original RED. Schemes such as RSPO RED and ISCC already comply if that is the case. ILUC is the true wildcard here. The ILUC debate has been going on for nearly a decade. The concept has been criticized repeatedly for its lack of a robust methodology. After the European summer, the commission will begin work on defining what “high risk” biofuel feedstock means for purposes of the biofuel policy. Additionally, Europe is moving to regulate palm oil used for foodstuffs. As a first step, the European Parliament is considering a motion calling for controls on agricultural imports from developing countries. Palm oil has been singled out despite being well behind other commodities — such as beef, soybean and maize — in terms of its deforestation footprint. This is to be expected from the European Parliament; a lop-sided vote against palm oil is almost certain. Following that, the EU will finalize the “EU Action Plan” on deforestation. This action plan will seek to introduce a new regulation aimed at curbing palm oil imports. Ideas being floated include a trade agreement and licensing system for palm oil — similar to the VPA-FLEGT model currently used for Indonesian timber product exports. Indonesian officials and business groups have been quick to push the idea of using Indonesia Sustainable Palm Oil (ISPO) certification as the basis of such an agreement. These types of policies often serve a dual purpose. They protect the domestic industry with a regulatory barrier, and fall in line with the EU’s euro-centric notion of sustainable development. For nearly a decade, palm oil has been a target for European agriculture, lawmakers and non-government organizations. There is nothing about the revised RED policy that changes this, even though the ban was defeated. Those in the industry need to be ready for the policy battles to continue. The writer is a trade and sustainability consultant who has worked with palm oil producers in Indonesia, Malaysia and Nigeria.